Central Mix Plant: Erie Strayer MG12CP2. 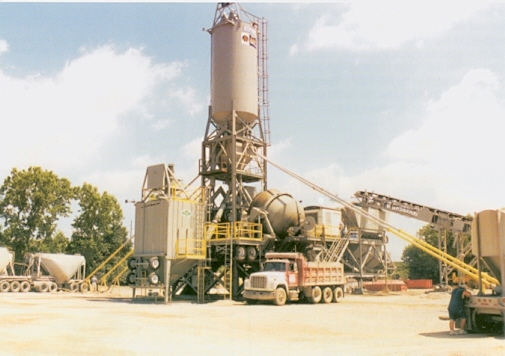 Batch plants can be equipped with large mixers for high-production work such as highway paving. Transit mixers and dump trucks haul the concrete to the pour.